Description: Jolee's Boutique Dimensional Stickers let you personalize scrapbooks, cards, paper crafts and gifts and more. Each dimensional sticker is hand crafted using fine quality materials. 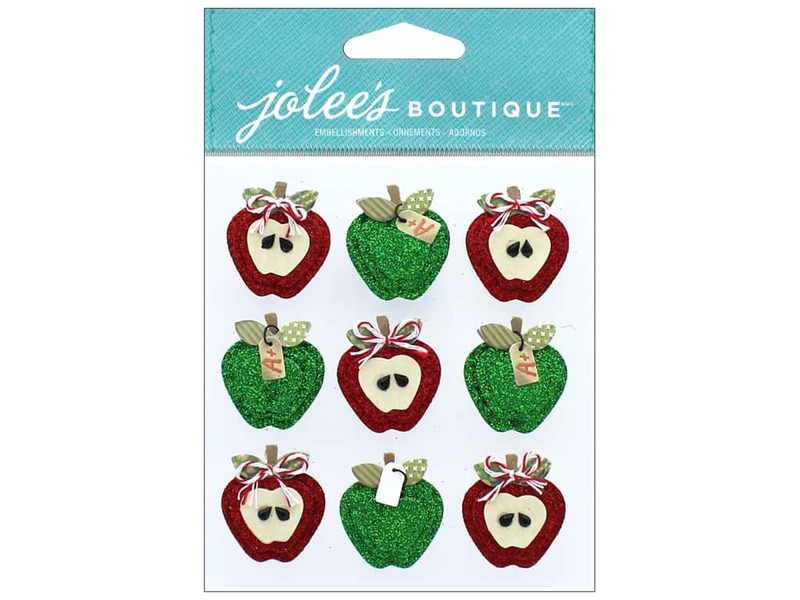 Jolee's Boutique Apples Repeat Stickers include 5 Red apples cut in half, and 4 Green apples. Both styles have stems and leaves, while the Reds have twine bows and faceted Black rhinestone seed shapes and the Greens have tags with "A+". Red and Green colors are achieved with glitter. All shapes are stacked for dimension. All measure about 1 x 1 inch. 9 pc.